Today, we are pleased to share an interview from our friends at Digital Photo School with Rebecca Jackrel, a freelance photographer based in San Francisco, California, who shares her love of wild creatures and places through her photography. As well as an interesting interview, you will be able to view some inspiring wildlife photographs. I recently listened to an interview of Rebecca Jackrel on The Candid Frame podcast. After listening to her talk about her passion for photography and wildlife, and seeing her beautiful, work I decided to interview her for the readers of dPS. If you enjoy this interview and would like to find out more about Rebecca and her projects, please visit her website and the Ethiopian Wolf Project. 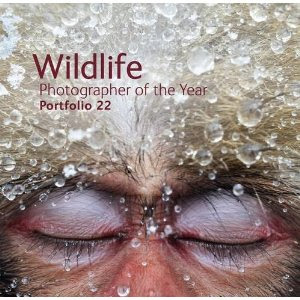 This powerful collection comprises all the winning and commended photographs from the Veolia Environnement Wildlife Photographer of the Year 2012 competition, the most prestigious event of its kind in the world. It represents the work of 80 international photographers, both professionals and amateurs. The pictures were selected from more than 48,000 entries, representing 98 countries. The photographs were chosen by an international jury for their artistic merit and originality, from categories that together represent a diversity of natural subjects. The range of styles is also diverse, as is the genre of photography, whether action, macro, underwater, landscape or environmental reportage. Together this outstanding collection is a reminder of the splendour, drama and variety of life on Earth. Each stunning photograph is accompanied by an extended caption and there is an introduction by Jim Brandenburg, one of the world's most respected nature photographers.